Svend Bayer makes his wood-fired stoneware pots in rural seclusion at Sheepwash in Devon. Of Danish extraction, Bayer worked with Michael Cardew who described him as ‘easily my best pupil’. 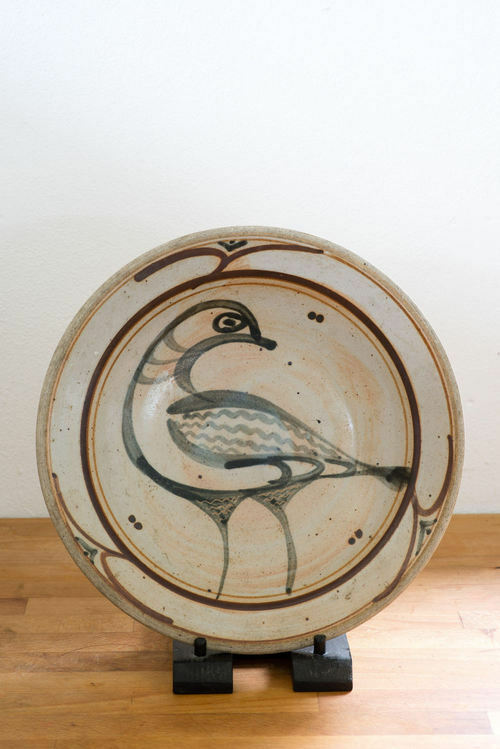 He likes to work on a large scale and even his domestic pots have a quality of grandeur, influenced by his admiration for traditional pottery of the Far East. All of Bayer’s highly original jugs, jars, mixing bowls and cooking pots are glazed inside. Because these are individual pieces, shapes and glazes may vary and supplies may fluctuate. A fuller section will be found at both our shops.